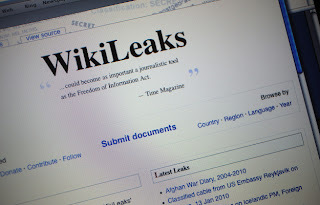 Amazing Revelations by the Wikileaks are not ending and everyday we are hearing about more and more interesting hidden truths exposed through Wikileaks secret US cables. Hundreds of real faces of different World leaders and Politicians are exposed in a week by Wikileaks and more are going to be exposed soon. The newest Victim of Wikileaks is Pope Benedict XVI. According to a secret US cable published by Wikileaks on Saturday Pope Benedict XVI was against Including Muslim populated Country Turkey into European Union. According to cable Pope was against Including Turkey in EU because it can weaken the roots of Christians in Europe. When i was reading this Cable the words from Late Dr Israr Ahmed's Lecture were coming into my mind that Turkey will never be included in European Union because Westerners knows that if it is done Islam will spread very rapidly in European Countries. Wherever Muslim have went in the World they Islam has spread very rapidly there and this is why Westerner leaders are feared of Including Turkey in EU. This Wikileak Cable has proved the words of Dr Israr Ahmed true and made it clear that Pope is feared that Islam will spread in Europe.